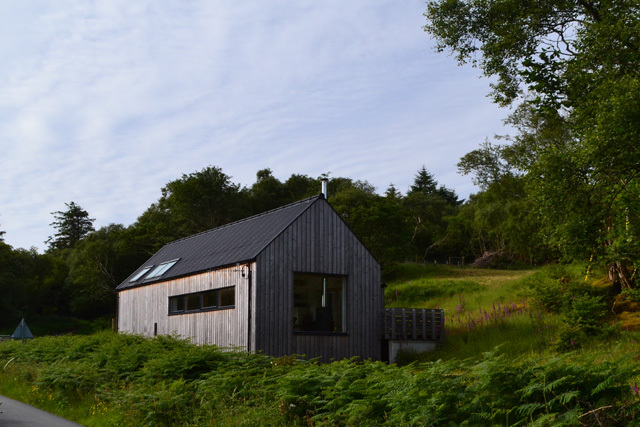 Tigh-na-Craobh (The Tree House) is a stunning contemporary house, designed by award winning architects Rural Design and finished to the highest standards. 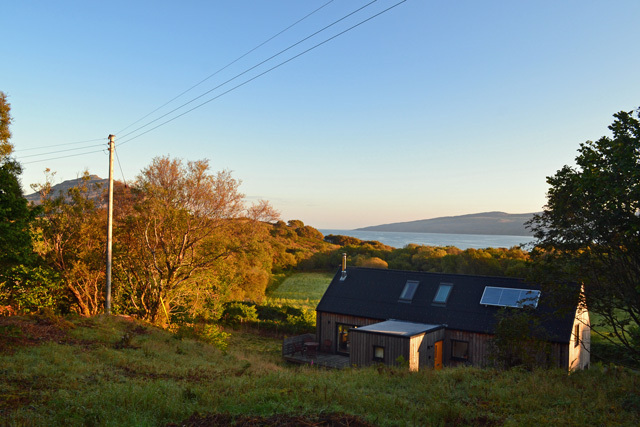 Beautifully situated and providing views to Ben Tianavaig and across the sea to Raasay, the house provides a perfect base to explore the Isle of Skye. 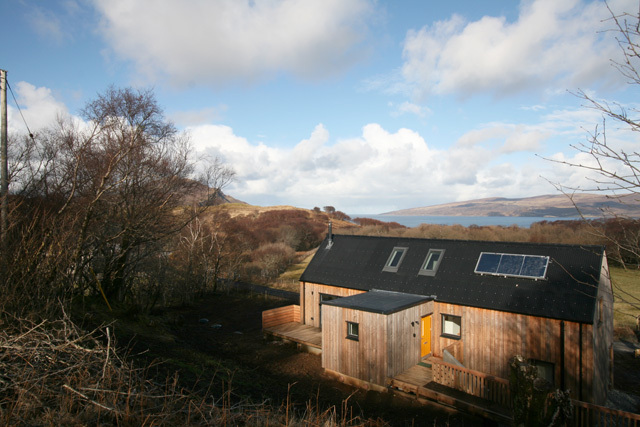 The house lies in a quiet, sheltered position on the east coast of the island, six miles from the capital Portree, on the B883. 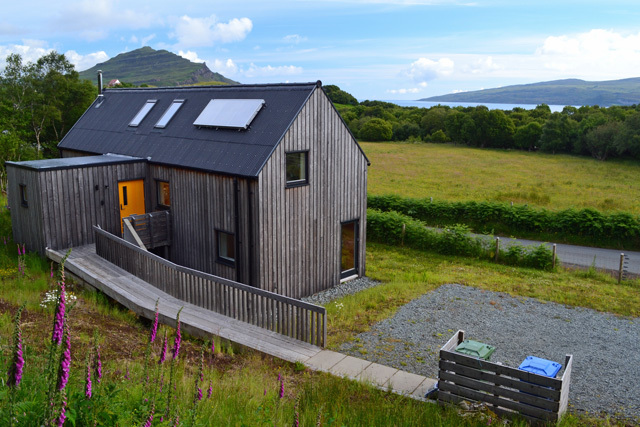 The house has been designed in a contemporary style inspired by Skye’s traditional buildings and is constructed using sustainable materials most of which have been locally sourced. 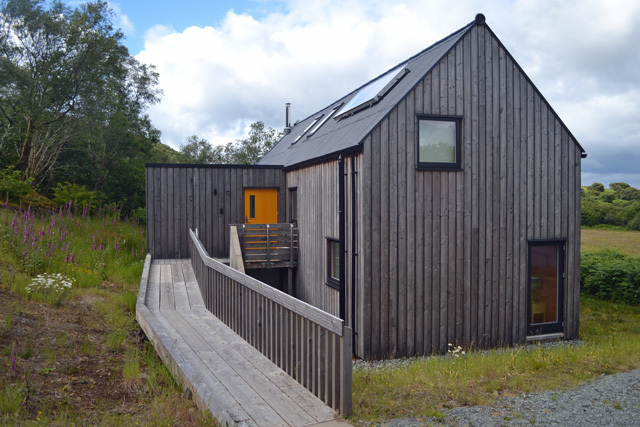 For example, the exterior is clad in Scottish larch which has also been used internally for the flooring and the insulation is made from recycled materials. 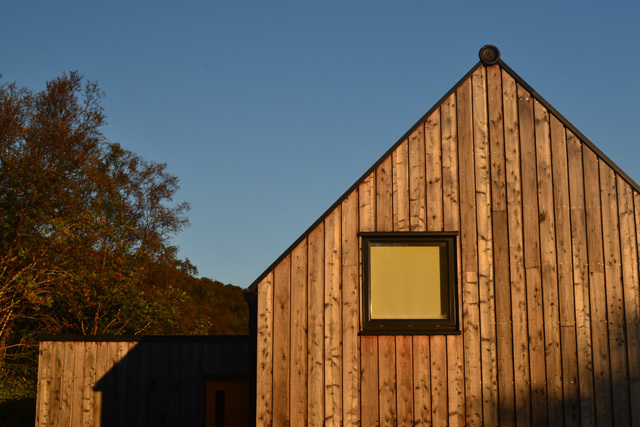 The building requires minimal heating (PassivHaus standard air-tightness and insulation) and hot water is provided via solar panels on the roof. Downstairs, the double bedroom has a king-size bed, walk-in wardrobe area and an en-suite shower room with under-floor heating and a walk-in shower. 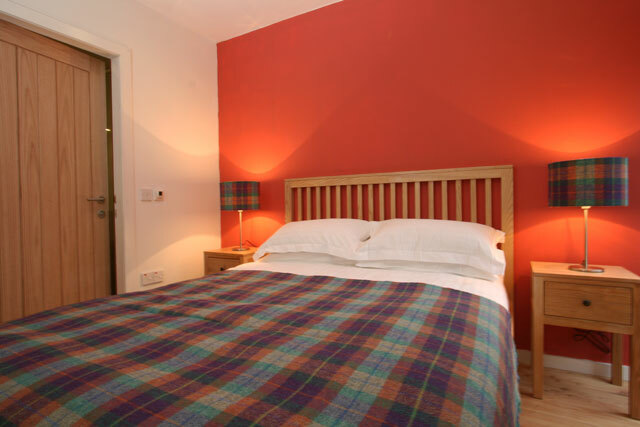 Egyptian cotton bed-linen is provided and Harris Tweed fabrics have been used to finish. 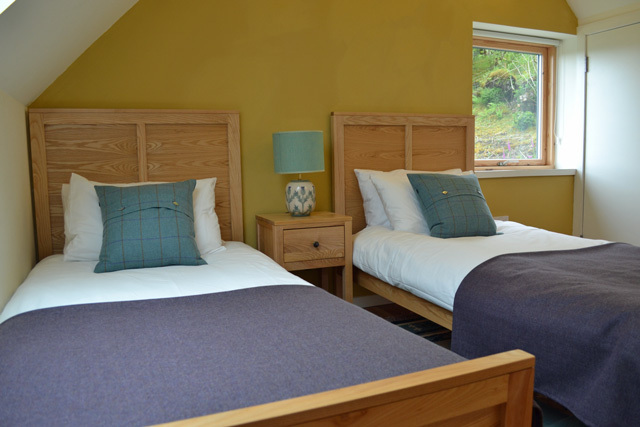 Upstairs is a twin room with views towards Raasay and of the surrounding farmland and woods and built in wardrobe. Again, Egyptian cotton bed-linen is provided and Anta fabrics have been used to finish. The family bathroom also has under-floor heating as well as a double ended bath. The small utility room has a washing machine and provides additional storage. Outside, there is parking for two cars, a timber deck with seating and a barbecue and a large private garden with access to the river. Skye is a popular tourist destination and offers a wide range of attractions and outdoor activities for all. There is much to explore in Braes itself with seaside walks, hill walks and a wealth of wildlife and heritage to discover. From the house you are likely to see deer, eagles and otters while seals are a common sight by the shore and dolphins and whales occasional visitors as well. Further afield, Portree (10 minutes drive) provides a range of shops, bars and restaurants and Sligachan (20 minutes drive) is an ideal place to walk in to the Black or Red Cuillins. The rest of the island is readily accessible. 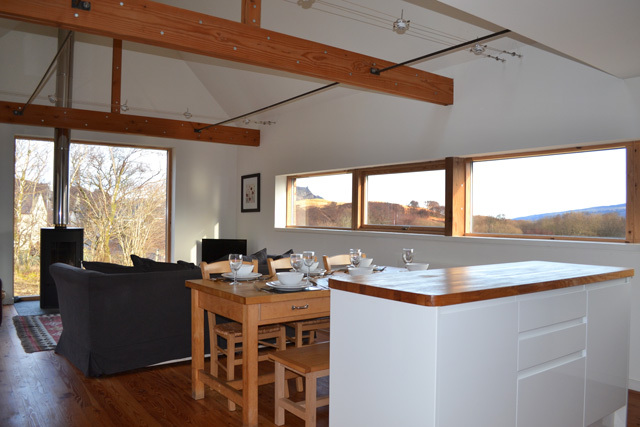 Open plan living incorporating the sitting room, dining area and kitchen. Sitting room, comfortable seating, wood burner, flat screen TV, DVD, CD, Radio, iPod docking station, direct access to decked area at rear of property. 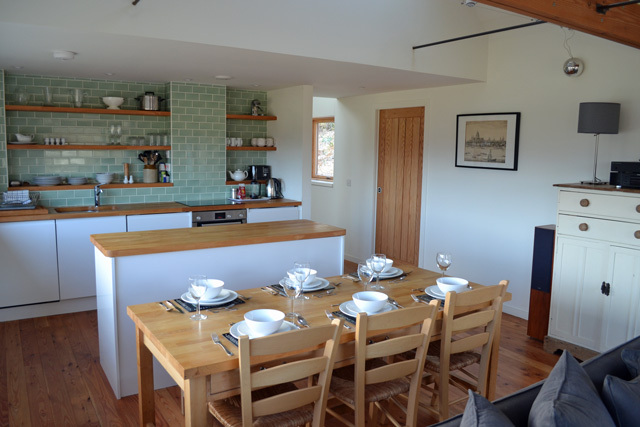 Kitchen area, electric oven, electric hob, microwave, fridge, freezer, dishwasher, dining table and seating for six. Bathroom, double ended bath with shower over, wc, whb, under floor heating. Master bedroom, king size bed, wardrobe area, en-suite shower room, walk in shower, wc, whb, under floor heating. Small utility room with washing machine. Small work area with desk. Quality bed linen and towels. Initial supply of wood for the wood burner. Outside garden area with garden furniture, barbecue, midge machine (arriving Easter 2014). WiFi internet access, bring your own laptop. A Good Housekeeping Deposit of £75.00 is required at this property. Ideally situated with the amenities of Portree just a short drive away. An ideal base to explore this part of the island. We were very cosy and comfortable in Tigh-na-Craobh. I very much appreciated the the modern living, eating and cooking area and well equipped kitchen. No need too eat out when there is so much to be enjoyed in the cottage. 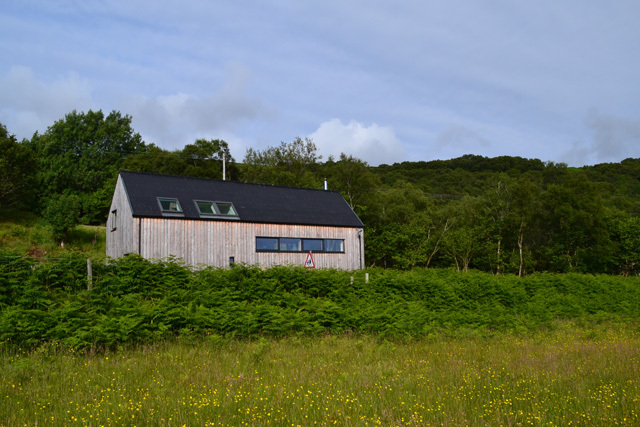 A super cottage in a fabulous part of Skye with lots of great walking from the doorstep. Tigh na Croaobh was a very lovely base for our first time on Skye. The house was warm and welcoming, well laid out and had had everything we needed. 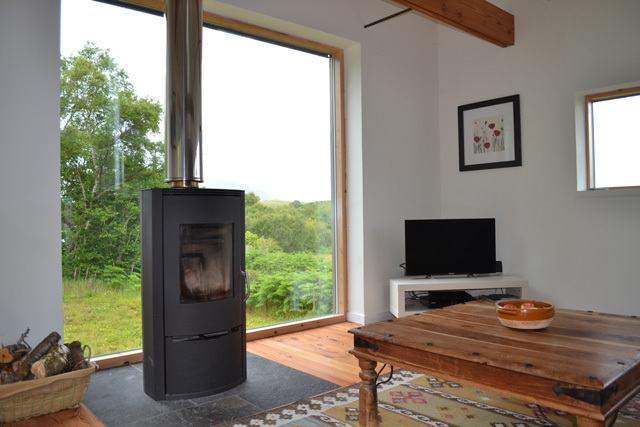 Absolutely fantastic to sit in front of that picture window with the stove lit - whatever the weather! Had reason to contact the owners, who were super friendly and dealt with our query. We had a very enjoyable stay in Tigh-na -Craobh. 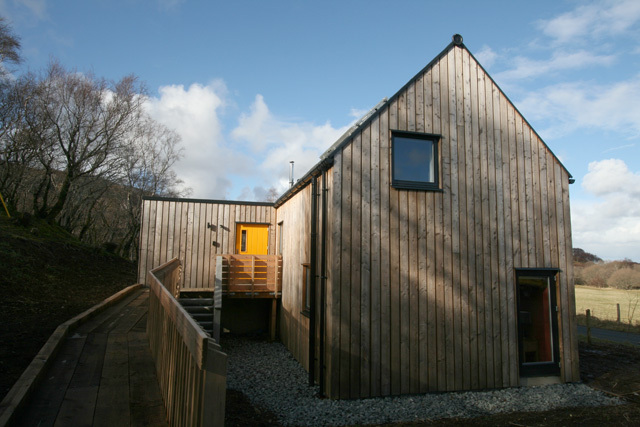 The house was perfect: beautiful, comfortable, very near Portree. We were lucky enough to see red deer in the field opposite the house. We highly recommend this cottage, and hope to come back ! 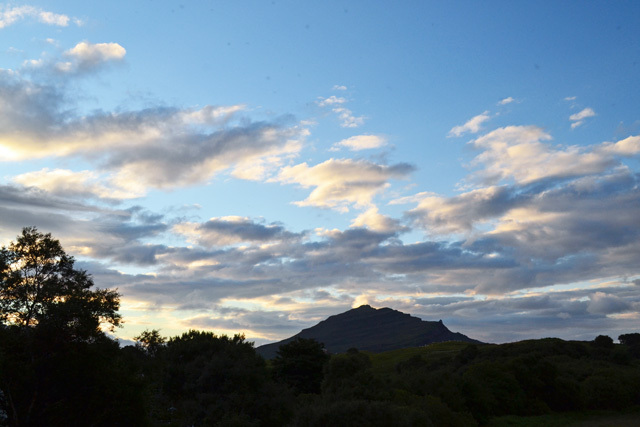 We had a very enjoyable stay in Tigh-na-Craobh.The house was perfect: beautiful, comfortable, very near Portree. We were lucky enough to see red deer in the field opposite the house. We highly recommend this cottage, and hope to come back! Had a fabulous 2 weeks in Tigh na Craobh. 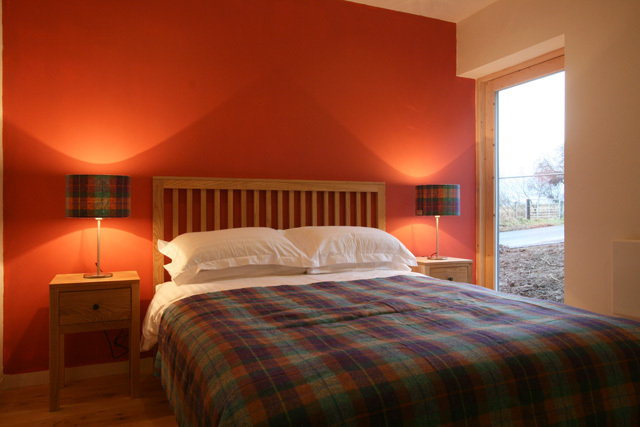 Perfectly situated to explore the Isle of Skye and up to the usual Wilderness Cottages standard. 15 mins drive from Portree and 10 mins walk from the sea. 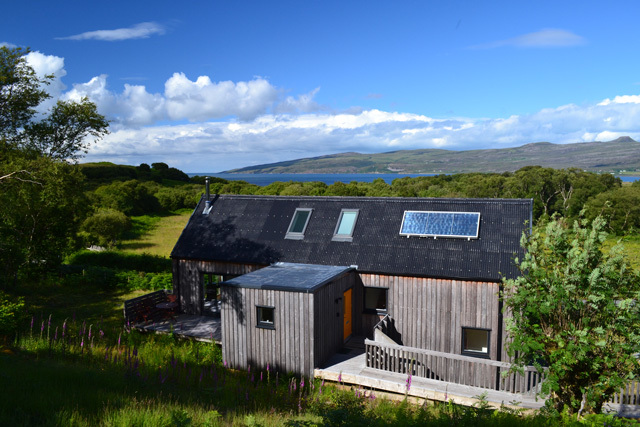 Would recommend this property for a holiday on Skye. 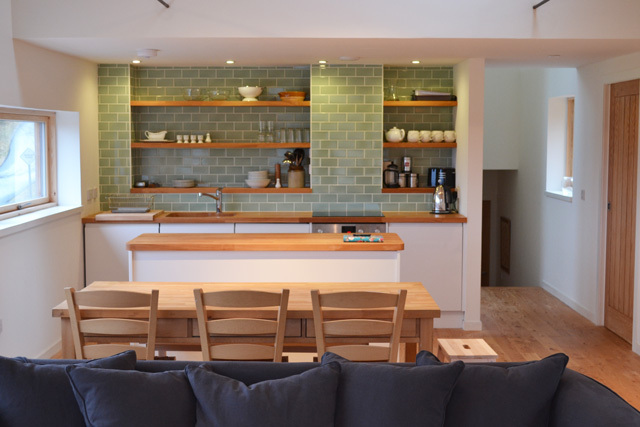 The Tree House is a fabulous holiday retreat. 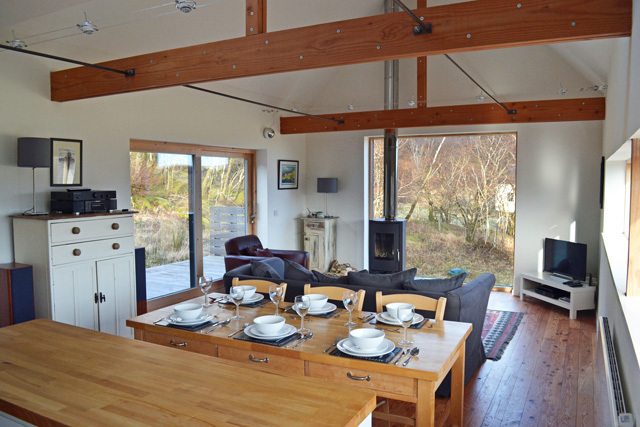 Spacious, yet cosy, it is in a great position to enjoy Skye. Walks from the doorstep, or a short drive away. Try the Oyster Shed for fresh lobster & chips, close to the Tallisker distillery! We'd certainly return to The Tree House. We had an absolutely fantastic stay at Tigh-na-Craobh! The house is beautiful, well appointed, very comfortable, and so handy for everything on the island. Considering the quality of the accommodation, this represents truly excellent value for money. We couldn't recommend it highly enough; we'll definitely be back! Lovely house with gorgeous views. The log fire was absolutely perfect for a cosy night in! Would definitely recommend. Wonderful place. Highly recommended. 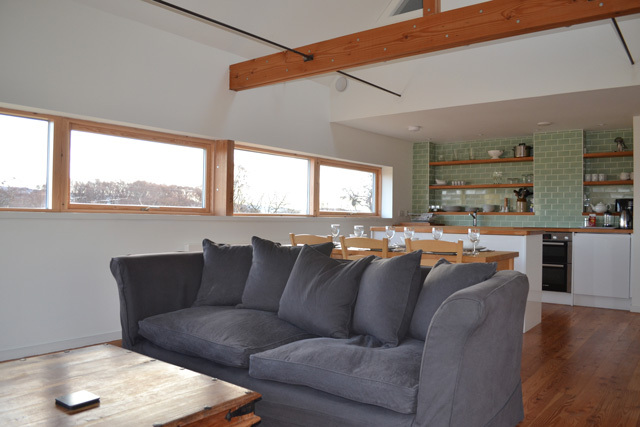 Unlike many cottages, the Tree House is modern, beautifully designed and finished to a very high spec throughout. It has a well stocked kitchen, an efficient log burner, a nice TV and speakers to plug your phone into, a massive couch to lounge on. It is altogether extremely comfortable. We visited in November, and it rained most days, but we were happy to be tucked up cosy and warm inside. The location on a tiny little road is also very secluded and quiet. Skye is, of course, beautiful. A lovely little cottage in an outstanding location. Super clean and comfortable, with beautiful walks right from the door. The whole of the island's delights are a short car journey away. Highly recommended! 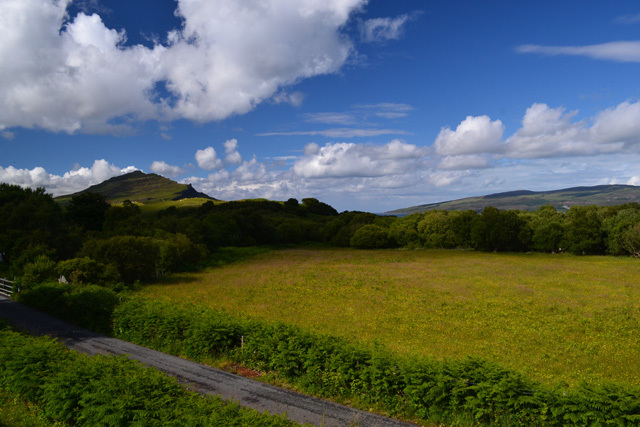 Great house, rural location but close enough to Portree for shops etc, comfortably warm and very well equipped. Would stay again. A wonderful weeks stay in Tigh-na-Craobh.The house had everything we could want and was a great place to come back to after a days walking. It was situated well for the Co-op in Portree and its lovely restaurants. We did a boat trip from Portree and were rewarded with a sight of a white tailed sea eagle and dolphins. Unforgettable holiday cant wait to return. One of the most amazing places we have ever been! The tree house itself is beautiful and the log burning stove gives it a great atmosphere. The only issues were the electricity went off several times on our first night which was scary and the shower in the ensuite flooded the bathroom and was not hot. We thought this was due to the solar panels at first however the other shower was hot so couldn't of been. However it did not ruin our stay and I'm sure these issues will be sorted out soon. We did the 2 local beach walks which were lovely and Portree was nice with a few gift shops. The scenary is amazing, panarmaic views everywhere! We will definatley be returning! Really relaxing break in a fantastic home. It's really well situated to be off the beaten track but not too far from civilisation (Portree) for you to get shopping or go out for a meal. Given that's it's nearly in the centre of the island it means you can use it as a good base for exploring. The house itself is really modern and super warm - the log burner does a cracking job of heating the place up very quickly as do the other heaters. It had all the equipment you need for a comfortable stay. Beds were comfy and the clever layout of the house with its separate bedrooms and bathrooms would mean kids and parents could have their privacy but never be too far away. The wifi was great for streaming TV or films on wet days and cold nights when you just wanted to snuggle up by the fire. Only minor niggles were a lack of dishcloths and a dishwasher that was empty of both salt and rinse aid upon arrival with no supplies to top it up with. Little things in the grand scheme of things but a tad disappointing nonetheless. 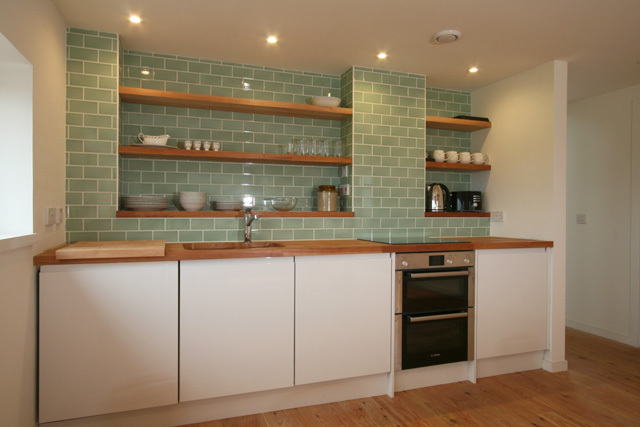 Overall, we had a thoroughly enjoyable stay in a very clean, modern and comfortable home. We'd have no hesitation in recommending this place to friends and family and would happily return. A fabulous house in a fabulous location. Had a great week's holiday at The Tree House. New property with everything you need. Well located, very clean and cosy. Nice to relax on the big comfortable sofa in front of the wood-burner after being out walking all day - only difficulty is trying to stay awake !! There is a nice desk/study area which is handy if you unfortunately need to work while on holiday (our kids were studying for exams so it came in handy ! ).